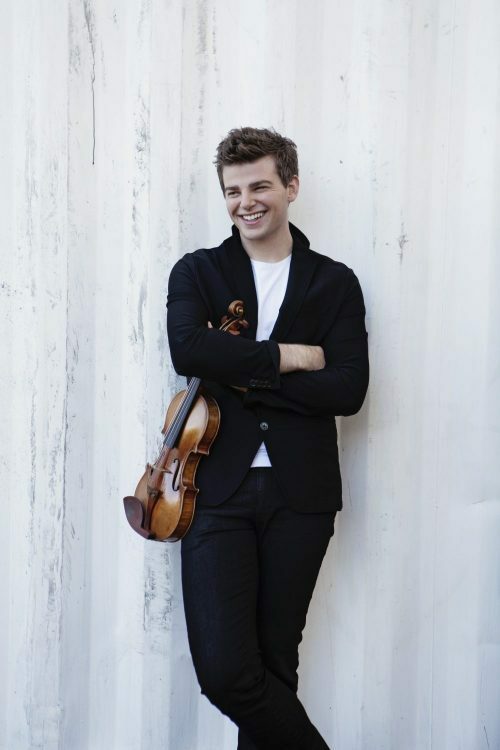 In an exciting season of new repertoire, Chad Hoopes perform the Violin Concerto in A minor Op. 53 by Antonín Dvořák with the Vancouver Symphony Orchestra and conductor Eivind Gullberg Jensen. This marks a successful re-invitation to the VSO. This is Hoopes’ second appearance with the Vancouver Symphony Orchestra, and we look forward to phenomenal partnership between the player and this orchestra. Hoopes first performed the Dvorak in October, and says he is looking forward to an “expanded relationship” with this virtuosic piece of violin repertoire. Hoopes will also play the Brahms violin concerto in March in Ohio, marking the first time he’s performed that work.